We have never been this excited to enter the weekend with Kurt Darren! Many of Kurt Darren’s songs in Afrikaans are known in Europe through cover versions in the Netherlands and Belgium, even Germany and Austria! Kurt will be performing at Krone at the end of July. They call it the “moewiese saamsing jol”. It is exactly what it is! Ahead of Krone Kurt Darren performed one of his recent hits,”Laat Die Dansvloer Brand”. Kurt is always game for sports and admitted he basically watched every single World Cup game leading up to the final. His favourite teams are Brazil and France consequently having to support France on Sunday in the final. 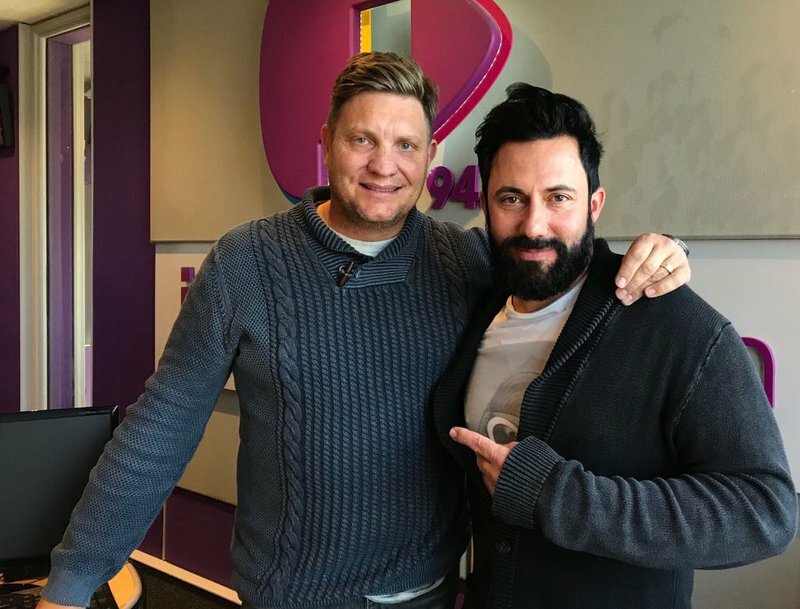 Martin Bester challenged Kurt to play a round of Mumbo Jumbo with Mark Fish and the result is hysterical!